The majority of electricity customers in California do not have a choice of electricity service providers. Most are served by investor-owned monopoly utilities. 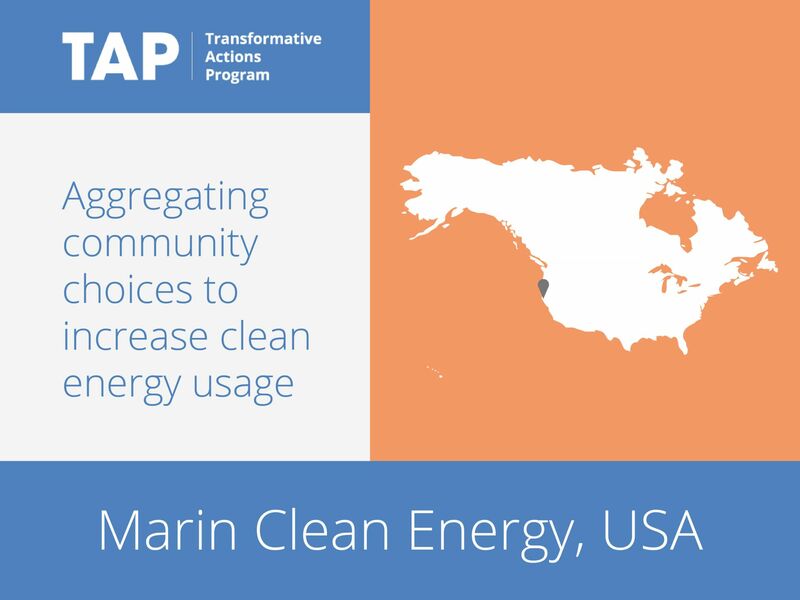 However, in 2010 Marin Clean Energy (MCE) began providing customers in Marin County with another choice through a model called “community choice aggregation” (CCA). The CCA model puts decision making regarding the procurement of electricity in the hands of local government through a Joint Powers Authority (JPA) comprised of an elected official from each member city, town or county. By reducing the carbon content of the electricity used by customers across all sectors, MCE is able to create significant greenhouse gas reductions for its member jurisdictions.